The 2018 TAS meeting will be held in November, 2018 at Austin Peay State University in Clarksville, TN. 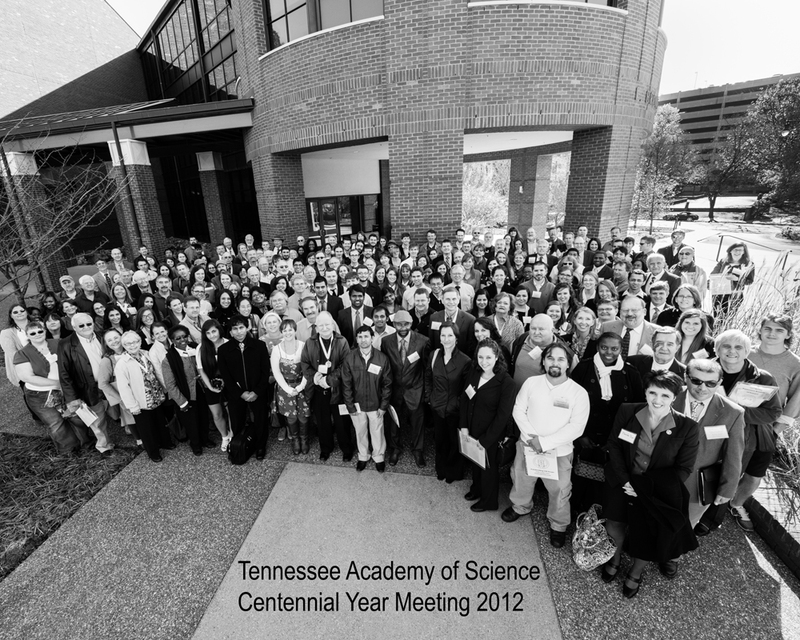 The Tennessee Junior Academy of Science will hold its annual meeting on Friday, April 26, 2019 at Belmont University. 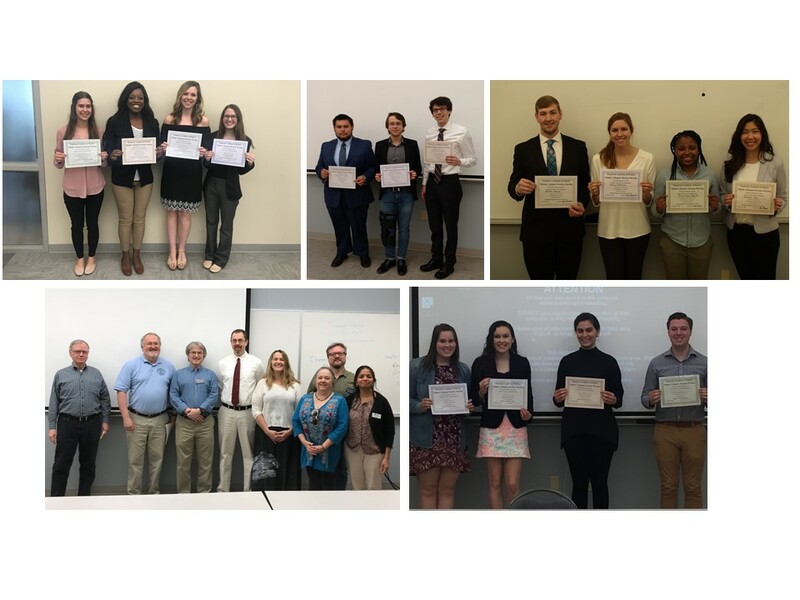 On April 21st, 2018, Belmont University College of Sciences and Mathematics hosted the annual Middle Tennessee Collegiate Meeting of the Tennessee Academy of Science in the Janet Ayers Academic Center. The Tennessee Academy of Science, as an affiliate of the American Association for the Advancement of Science, endorse the position statement of the AAAS concerning research and teaching of the scientific theory of evolution. 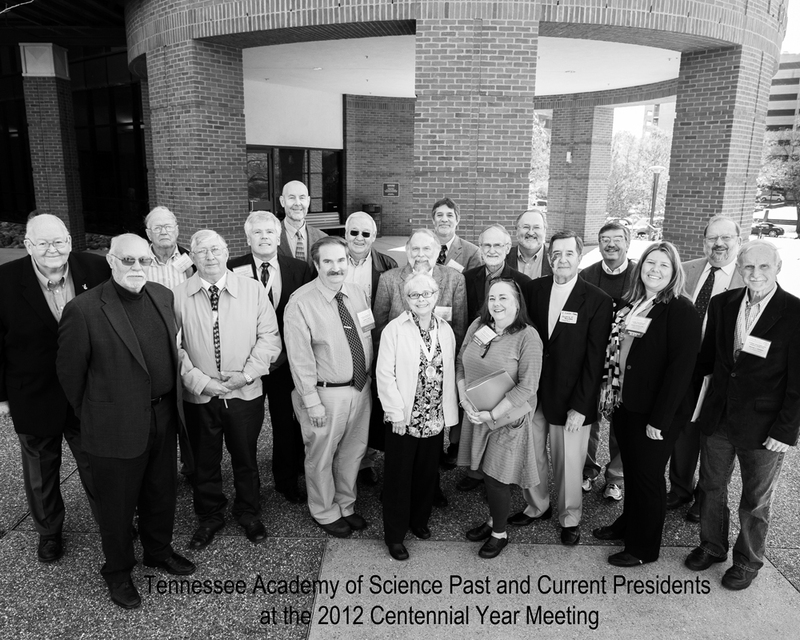 Here is a group photograph taken by Andrea Hallgren at the Centennial Meeting in 2012. This is a photograph that Andrea Hallgren took of the past and present TAS Presidents that attended the Centennial meeting. The Tennessee Academy of Science, as an affiliate of the American Association for the Advancement of Science, endorses the position statement of the AAAS concerning research and teaching of the scientific theory of evolution. Furthermore, TAS emphasizes that the theory of evolution is a fundamental concept of science, and thus must also be a cornerstone of science education. Evolution in the broadest sense refers to any change over time. The study of Earth's evolution provides society with the necessary perspective to understand Earth's physical and biological development. Evolutionary studies also provide insight concerning the natural processes active on Earth and help to shape our view of Earth's future. Evolutionary studies and evolutionary education apply to all branches of science, including organic evolution, cosmic evolution, geologic evolution, planetary evolution, cultural evolution, and others. The scientific evidence for evolution is pervasive. Geologic studies show Earth has changed dramatically over time, with continents assuming new positions and geographies. Paleontological studies document that life forms on Earth have changed, with new species arising and others becoming extinct. Astronomers have documented that galaxies, stars and planets have changed over time. Biologists and anthropologists have documented that human biology and culture have changed. The ubiquity of such explanations indicates that evolution has become a vital component of modern science. The National Science Education Standards, Benchmarks for Science Literacy from AAAS's Project 2061, numerous national education policy documents, and Tennessee's published science education framework all recognize evolution's role as a unifying concept for science disciplines that provides students, including future scientists, with the foundation to help them understand the natural world. For these reasons, TAS endorses the teaching of the scientific theory of evolution. TAS also stresses that teachers should be free from the distraction of non-scientific or anti-scientific influence. TAS thus concludes that non-naturalistic or supernatural explanations, often guised as "creation science," "scientific creationism," or "intelligent design theory," are not scientific in nature, do not conform to the scientific usage of "theory," and should not be included in Tennessee's science curricula.